Lake Ainsworth is situated at the northern end of Pacific Parade in Lennox Head. The lake is a fresh water lagoon that is discoloured by tea tree tanins leaching from the trees that surround the lake and is very popular with locals and visitors. The tea tree water is said to have health giving and rejuvenating properties for the skin and hair. The lake is also suitable for swimming, stand-up paddle boards, kayaking and canoeing (no motor boats) and is complemented by wonderful barbecue and picnic facilities. Lake Ainsworth was named after James Ainsworth, Thomas Ainsworth's son. The Ainsworth's were one of the first European families to take up land in the region, settling on the North Head of Ballina in 1847. 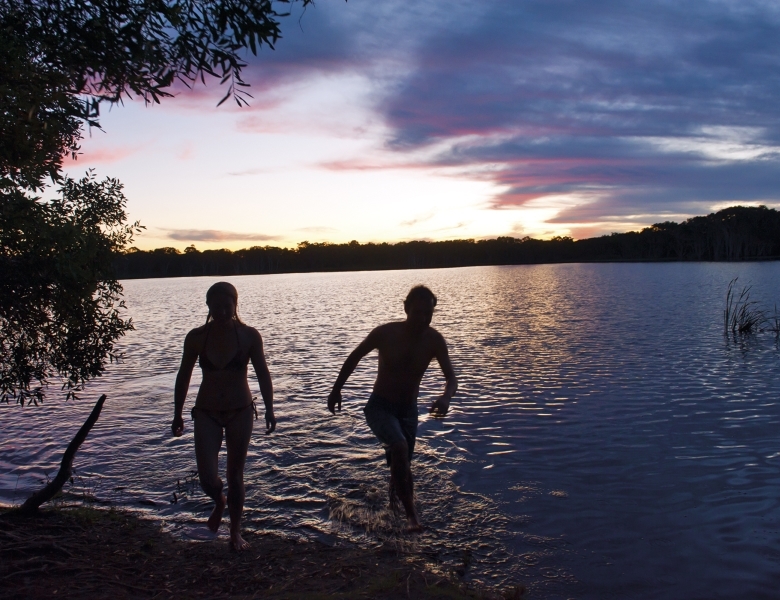 Go camping at Lake Ainsworth Caravan Park, or stay at NSW Department of Sport & Recreation Centre and Camp Drewe. Contact 1800 777 666 for information and updates.